On October 26, 1942, the USS Hornet was fatally wounded in a Japanese attack during the Battle of the Santa Cruz Islands. It had 2,200 crew, 140 of which were lost that day. When the warship slid under the waves the next morning, it was the last time a human eye could see the gray hull of the Hornet. 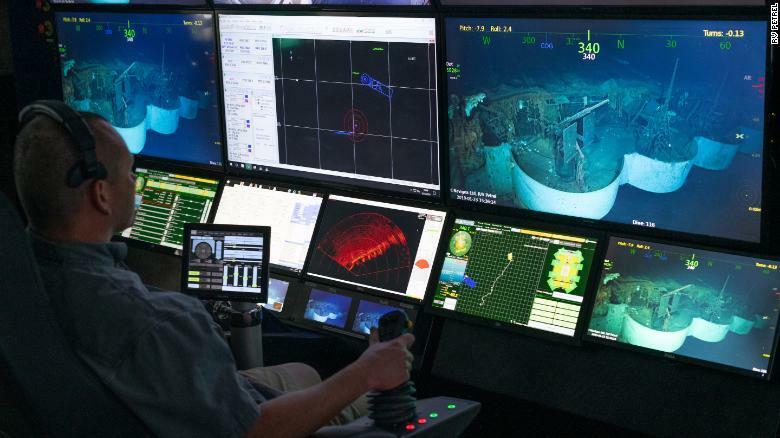 Late last month, a research vessel called R / V Petrel found the wreckage of the Second World War aircraft carrier more than 5,000 meters below the surface of the South Pacific, near the Solomon Islands. He had been inactive in the dark ocean floor for more than 76 years. The discovery of the ship was announced on Tuesday by Vulcan Inc., the company founded by Microsoft co-founder Paul Allen, owner of Petrel. 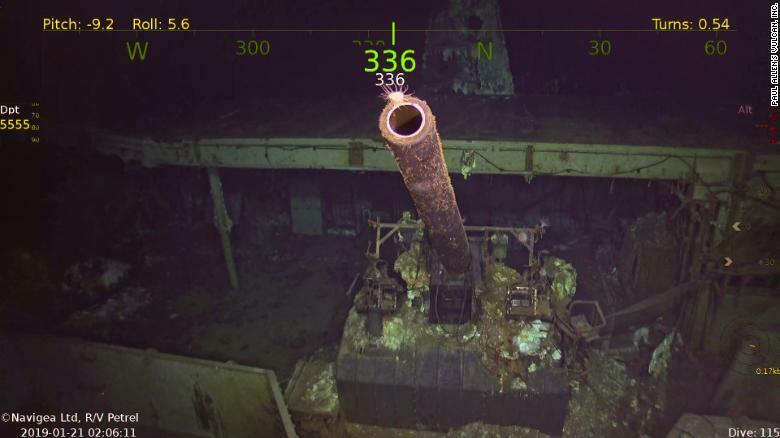 To find the Hornet, the expedition team aboard the Petrel used data from the files of nine other US warships that spotted the aircraft carrier in the days before it disappeared. They drew a search grid centered on the last known location of the warship. The Petrel transports two robotic vehicles on board that it deploys to probe to nautical depths of up to 5,000 meters below the surface. Investigators sent one of the robots, which found the Hornet on its first mission. It was another success for the Petrel, which in recent years has discovered numerous shipwrecks of the Second World War, including ships of the US, British, Italian and Japanese navies. Last March, he discovered a different US aircraft carrier, the USS Lexington. The Hornet is famous for launching the Doolittle operation against Tokyo and other Japanese targets in April 1942, showing just four months after the attack on Pearl Harbor that Japanese territory was vulnerable to US air strikes. Two months later he played a pivotal role in the Battle of Midway, in which he helped sink four Japanese aircraft carriers. That decisive victory changed the course of the war in the Pacific. Although the Hornet was highly decorated, his time at sea was short. After its service in Guadalcanal, the warship was bombarded by Japanese planes and torpedo boats in the Battle of the Santa Cruz Islands. The Hornet sank and the Japanese won the battle. But this had a great cost for the Japanese forces. 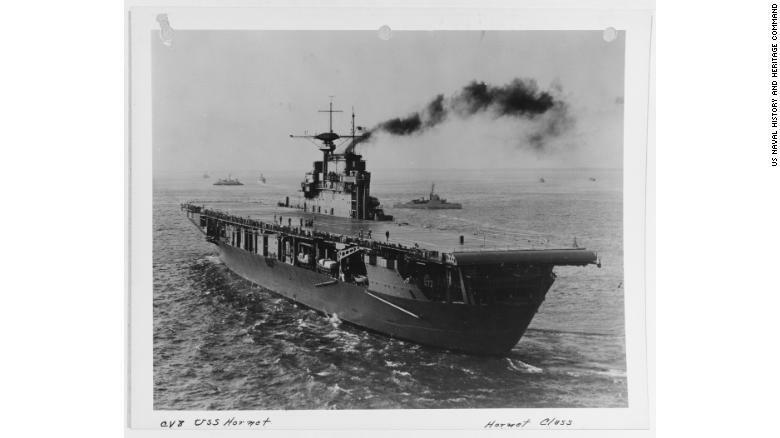 The USS Hornet was put into operation in 1941 and had about a year of service before sinking. Cox told CNN that the general rule of the Navy is to keep shipwrecks intact. He said the remains of the Hornet were “sacred ground,” a final resting place for 140 sailors. “For us, it’s like (the National Cemetery of) Arlington,” he said.